Based in Ohio, we design and build custom commercial grade furniture. Our proximity to the Appalachian region’s American hardwoods enables us to locally and responsibly source our materials. 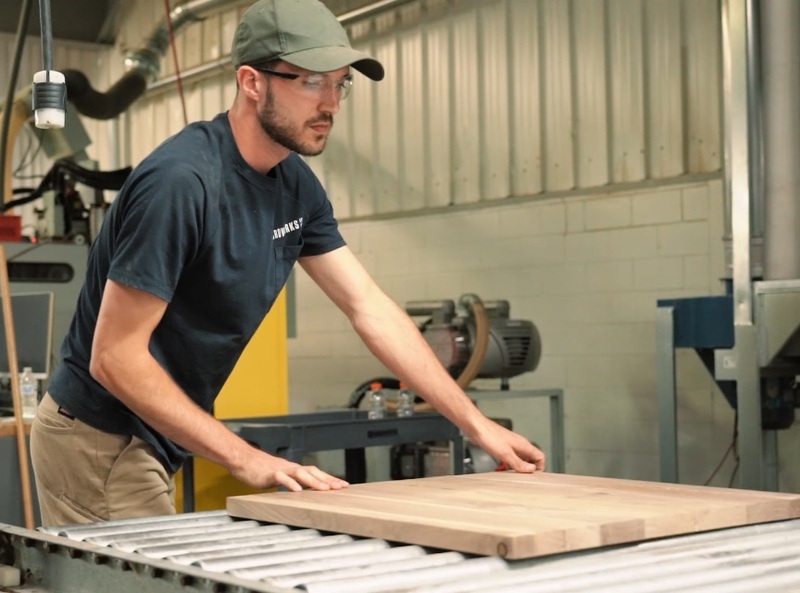 To maintain quality, we’re connected to every stage of our made-to-order manufacturing process – from design and engineering to assembly and shipping. We believe there is value in American design and manufacturing - that's why we make 100% of our products in Ohio. We celebrate and elevate natural materials, which are carefully selected for quality, durability, and beauty. All of our products are made-to-order and built to our clients' exact specifications. We partner with our clients to realize their vision and provide an unparalleled experience. We're committed to craftsmanship and the attention to detail that comes with it. Every product we create is built to last. We're passionate about design and finding new ways to create and refine using rapid prototyping and value engineering. We are a design and manufacturing company based in Ohio that builds products that are as useful as they are beautiful. Inspired by the character and warmth of the natural world around us, we create exceptional spaces. We design, prototype, and build custom products with a quick turnaround. We’re passionate about American design and manufacturing, as well as bringing our clients’ visions to life through collaboration. Together we build inspired experiences where people gather, eat, dream, and share. No matter what we’re making, we’re always striving to deliver the highest level of quality and service to build relationships that last.